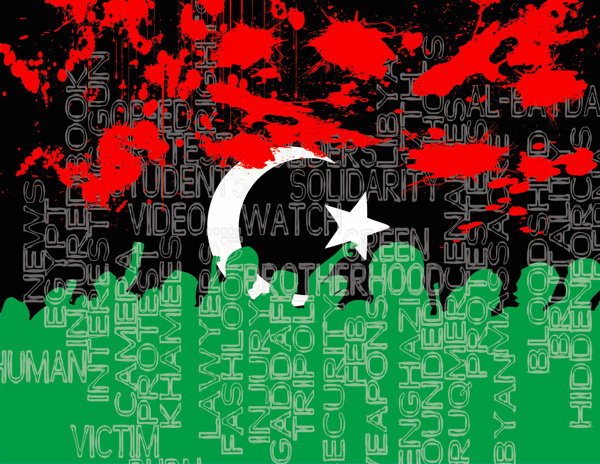 Libyan opposition websites hacked, activists blame Gaddafi ! Cairo - Anti-government activists Tuesday accused supporters of Libyan leader Moamer Gaddafi of hacking websites reporting on Libya's pro-democracy demonstrations. In a message posted on the website of Quryna newspaper, activists accused Gaddafi of hacking their sites. 'The Gaddafi regime shut down all Libyan websites that carry the truth of what is happening in Libya, such as Quryna because Saif al-Islam lost control over it,' said the message. The paper, based in the eastern city of Benghazi where protesters seized control, has close ties to Gaddafi's son Saif al-Islam. 'This is why we the youth of February 17 revolution will respond to this strike by regaining control over the sites and close pro-Gaddafi lying websites including the Libyan news agency,' read the message.